I went to Cancun and brought Prague, Hawaii, Brussels and Greece with me!! My trip started off at O’hare airport, looking out at all those typical winter colors and counting down the minutes until boarding began. Of course the inevitable happened when my coworker arrived at the gate and looked at me…and then my carry-on suitcase…and then back at me. He obviously didn’t read #4 on my 14 travel tips for 2014 – There is only one size luggage for 2014 and it’s called Carry-On. No excuses. What he also didn’t know was that I managed to pack not only my Cancun necessities, but some items from Prague, Hawaii, Brussels AND Greece!! All in my not so fancy carry-on!! Let me explain a little more on why and how I was about to accomplish this amazing feat. 1. Prague – I’m obsessed with chapstick and always make sure I have some within my nearest reach. 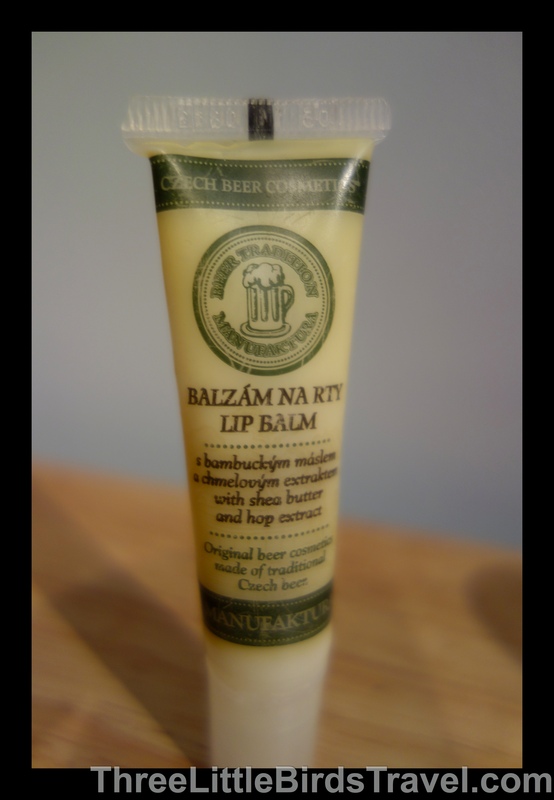 Since my sister and I did a Beer Tour in Prague, I thought it only made sense that I purchase beer chapstick from Czech Beer Cosmetics company! I came across this store randomly on the way back to the hotel and brought home lip balm for all of my friends. I normally don’t bring too many gifts home, but these were inexpensive and small so they hardly took up space in my carry-on. Since I purchased over 10 small items, they threw in Beer Shampoo too! My remaining showers in Eastern Europe improved instantly! 2. Hawaii – Any part of a beach trip, in my opinion, requires a sarong! They don’t take up too much space and are the perfect cover-up because you can wear them in all sorts of different ways. 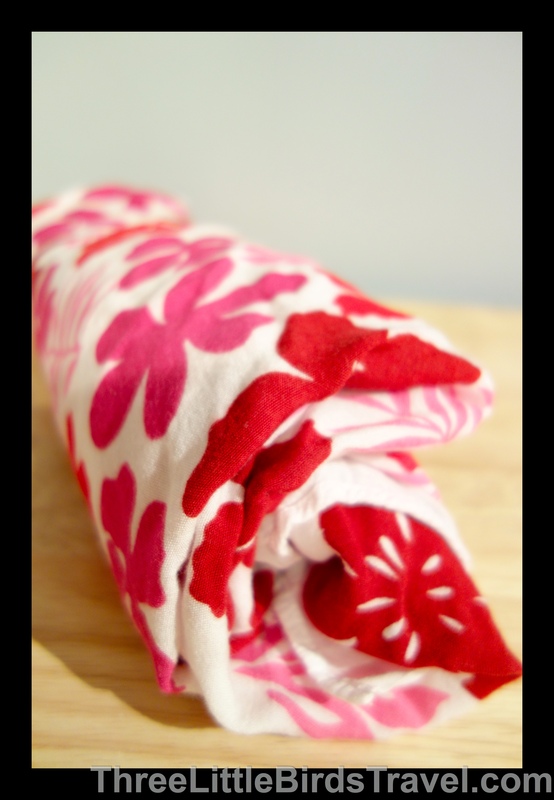 My favorite sarong was actually a gift from one of my close friends who used to live in Hawaii. Every time I see the bright pink and red flowers, I remember that moment that she gave this to me. It’s such a simple gift that will be used over and over again! On the trip to Cancun, I used it as a beach towel and it was perfect. 3. Brussels – This next item was also a gift, but this time from my sister. 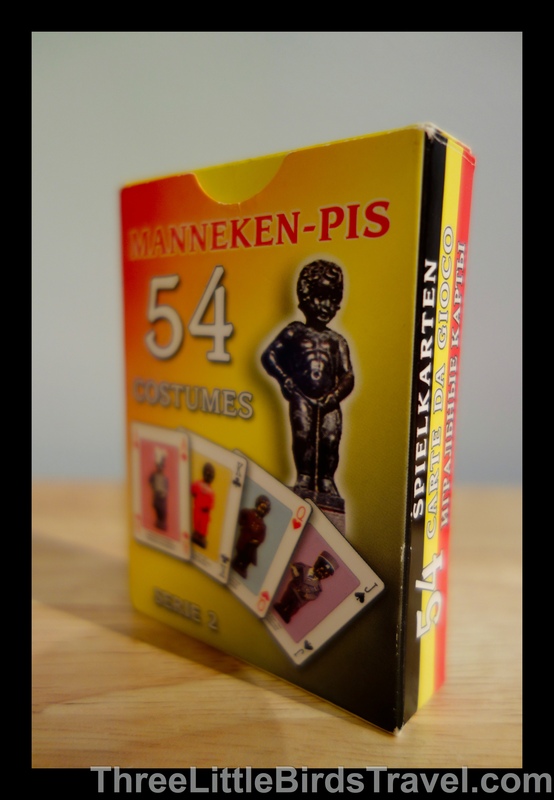 In 2013, my sister traveled to Brussels and had to make the obvious stop to see the little peeing man, otherwise known as the Brussels landmark – Manneken Pis. What she didn’t realize was that there was a whole museum dedicated to this little man’s clothes! There’s actually over 800 different outfits that have been dedicated from countries all around the world. I wouldn’t say that this was on her “to-do” list, but it definitely would have been on mine so that’s why she backtracked and went. She brought me back a deck of playing cards that I like to take on my trips in case I have some downtime. Easy to store so in the carry-on they went! 4. Greece – My close friend and I visited Greece in October 2013 and had the most relaxing week of stuffing our faces with seafood, watching the Santorini sunsets and laying on the beach. On our last day we took the ferry back to Athens in hopes of seeing the Acropolis. After what seemed like an episode from “The Amazing Race,” we arrive in Athens and found the Acropolis closed. 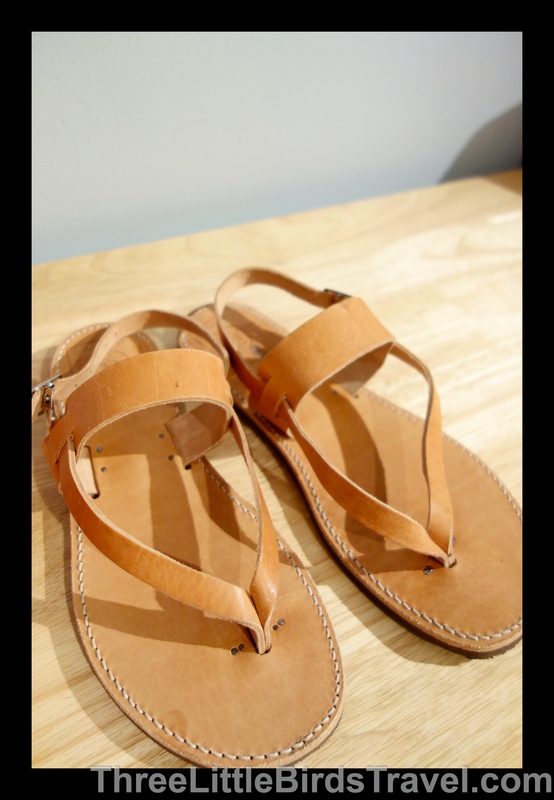 We were so disappointed, but determined to get the only other thing on our Athens list crossed off – Visiting the Poet Sandal Maker. We raced to the shop and hesitantly went down a dark alley in hopes of the famous man who has designed sandals for celebrities such as John Lennon, Sarah Jessica Parker, Jackie Kennedy, and Sophia Loren. We quickly picked out a few pairs and on our way we went! Since i knew I was going to get some beach time in, I packed them in the carry-on! What are some of your favorite items you like to pack for vacation?